Medical Eye Associates (Orlando) - Book Appointment Online! 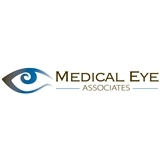 Medical Eye Associates began with a single ophthalmologist. Since that time additional ophthalmologists and optometrists have joined, our name was adopted, and Medical Eye Associates has evolved into one of Central Florida's most trusted eye care centers. Therefore, our mission is not only to provide you with superior ophthalmologic care, but to provide it with the utmost compassion and respect for each and every patient. Dr. Mont Cartwright, who leads our highly qualified staff, is a board-certified ophthalmologist with additional certification in oculofacial plastic, cosmetic and reconstructive surgery. Dr. Cartwright's commitment to excellence is reflected in all our services.